Expats in Be’er Sheva (particularly those of us from New York) need only to hear two words to convince them to flock to Bar Basaba: Brooklyn Lager. This little taste of home (that tastes close enough to how it tastes at home) is available in bottles for 27 worthwhile shekels a pop (for those of you keeping tabs stateside that’s a whopping $7.50 and a little lesson in imports, supply, and demand). 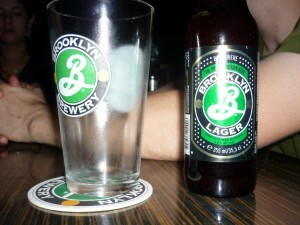 And if overpriced American beer isn’t enough to get you there then consider what else Bar Basaba has to offer. Connected to the popular restaurant Saba Gepetto (Grandpa Gepetto) to get to Bar Basaba (Grandpa’s Bar) you have to tell the hostess at the restaurant that you’d like to go to the bar. She then takes you around the corner, unlocks a door adorned with no trespassing signs, and walks you through a short passageway into a courtyard between buildings. It feels like entering the secret garden. And who doesn’t like a secret entrance, even if it is a secret everyone knows about. 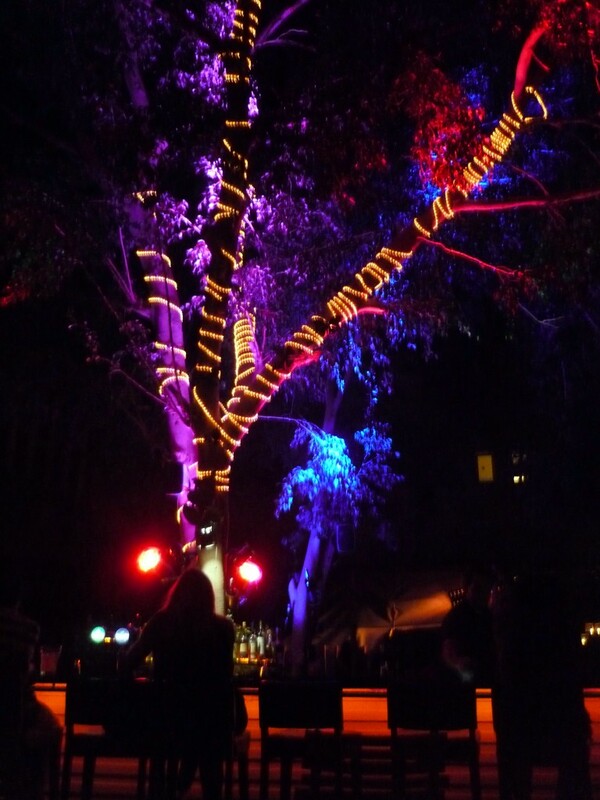 Trees are wrapped in strings of lights, and seating is available at the bar, at tables, and at lounge like enclaves. They serve food from the Saba Gepetto kitchen, although having never eaten at either I can’t say whether it’s the same menu but offering a different, more bar-appropriate menu. The service can be slow but the servers are all very nice and many speak at least some English. This is helpful as the menus are entirely in Hebrew. 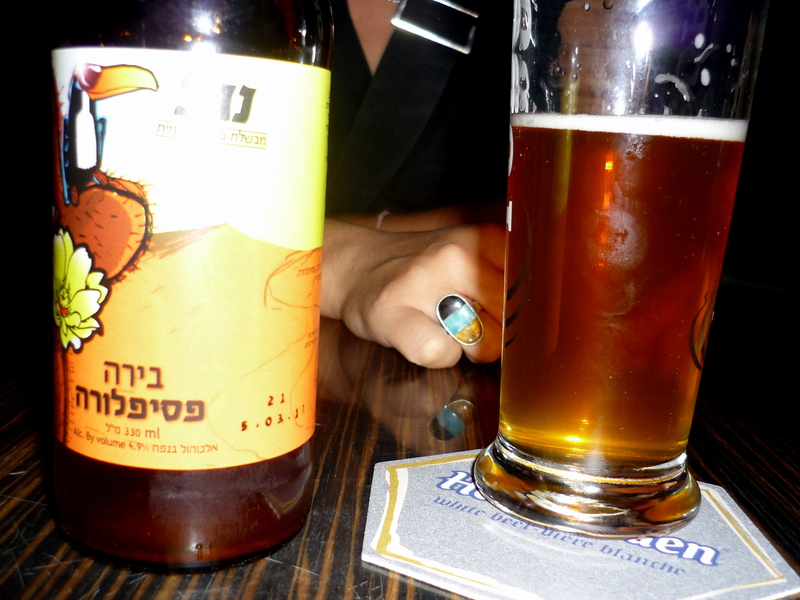 In addition to the fine imported beers (ahem Brooklyn Lager) they also have the usual selection of Israeli and European brews (Tuborg, Gold Star, Stella) and an extensive list of more unusual choices. The Negev Brewery passion fruit beer, for example, was a surprising and excellent choice that tasted similar to a fresher Magic Hat. I will definitely be back at Bar Basaba. Besides the fact that it’s around the corner from my apartment (and conveniently located for others), I’m also excited to sample their selection of beers and explore what the food menu has to offer. I can think of no better place to wile away an evening. To get to Bar Basaba: 109 Rager (08-627-2829); ask the hostess at Saba Gepetto (in strip mall next to Las Vegas clothing store, near the Courthouse and government administration building). The 4 and 5 buses stop nearby.